Stephen Bogle is a lecturer in Private Law at the University of Glasgow and a PhD Researcher at the University of Edinburgh. His research focuses on the emergence of a will theory of contract in Scotland, looking at how theology and natural law philosophy interacted with legal development in Scotland during the seventeenth century. Stephen’s research also touches upon obligations, including, but not limited to contract theory, legal history, and contemporary issues in consumer and commercial law. Stephen graduated from the University of Edinburgh MA (Hons) (Mental Philosophy) (2005), the University of Strathclyde LL.B (Ordinary) (2007), the Glasgow Graduate School of Law Dip LP (2008), and the University of Edinburgh LLM by Research (Distinction) (2012). Stephen is also a qualified solicitor having trained at Maclay Murray & Spens LLP between 2008 and 2010. What: Talk by Stephen on “Fairness, Just Price & Complex Markets: Lessons from Sir David Dalrymple’s Pamphlet Circa 1720”, followed by an open discussion with those in attendance. Drinks and snacks will be served. When: 14 May 2015 (6:00pm – 8:00pm) [Please be advised that this is the first day of Ascension, which means that the Faculty of Law will be closed]. Where: Conference Room of the Café Tribunal (Tongersestraat 1, 6211 LL Maastricht). 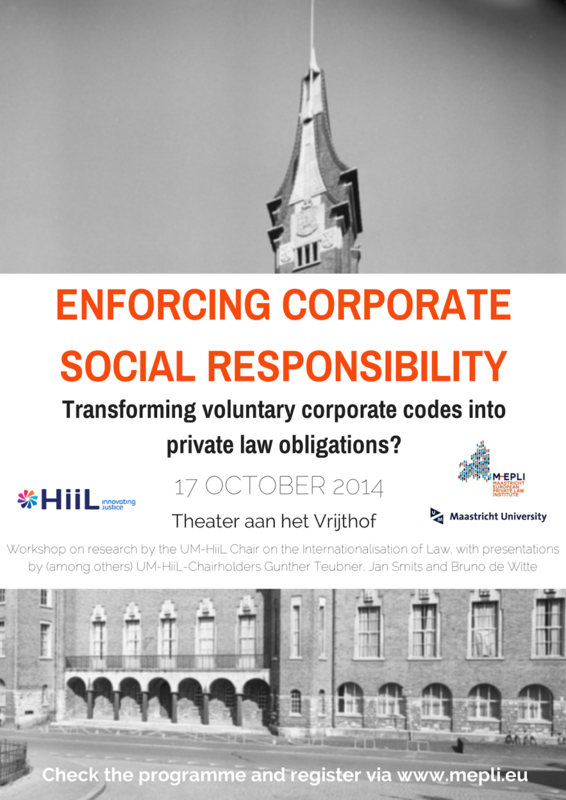 How: If you are interested in attending this talk, email Mark Kawakami at: mark.kawakami@maastrichtuniversity.nl. Please keep in mind that space will be limited.